The past decade's proliferation of inexpensive, high-quality video cameras has yielded hundreds (maybe thousands) of low-budget horror films. Alas, many of these films suffer from that cheap "home video" look and sound -- and in a way that does not aesthetically support the characters, story, or themes. The lighting is flat and boring. The filmmaker was satisfied with whatever light was available on set, or brought just enough additional lighting gear to capture an image. The sound is harsh and hollow. The filmmaker shot in his own apartment (rather than on a sound stage), and the actors' voices reverberated off of the hard walls and hardwood floor. Which would not have been a problem had the filmmaker used rugs, sound blankets, or other sound dampening tools. Colored lights are an inexpensive way to help overcome the "cheap, boring" lighting problem. 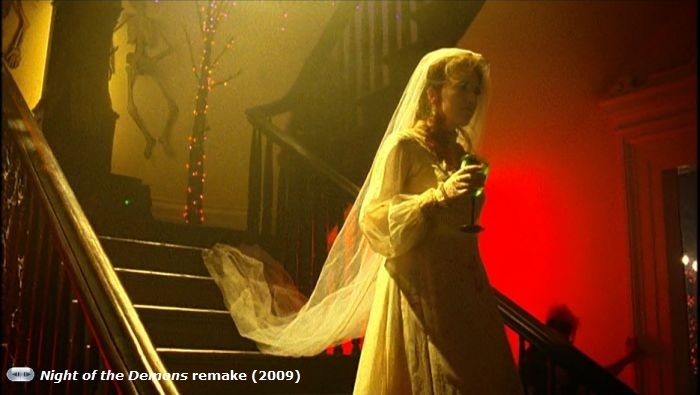 Colored lights will work for any film, but are especially likely to enhance films of the fantastique (such as a supernatural horror film). I don't normally like horror film remakes, but 2009's Night of the Demons is a fairly good one, largely (though not exclusively) due to its use of diegetic colored lights. Lights can be either diegetic or nondiegetic. Diegetic lights have their source within the story (e.g., a table lamp, car headlights). Nondiegetic lights have no logical source within the story. Dario Argento's Suspiria and Norman J. Warren's British tale of witchcraft, Terror, are examples of horror films that make extensive use of nondiegetic colored lights. Many scenes in Night of the Demons are enhanced with diegetic colored lights. Consider this early scene of three girls riding in a car. The middle girl is lit purplish blue. The other two girls are lit red. Whatever these lights' sources, they enhance the scene. They contribute to a supernatural mood, preparing us for the dramatic events to come. The girls' destination is a Halloween party at a reputedly haunted house. As they enter, we see that the house's interior is brightly lit with primary colors (similar to Suspiria's color palette). The colors are bolder and more prominent than in the car, and once again support an ethereal, supernatural ambiance. Plus, they're beautiful to behold -- there's no reason a horror film can't delight an audience with its beauty even as it scares. The police raid the party and evict most of the partygoers. That leaves seven young people. We see them in a dark living room (two photos, below). Rather than boring white or yellow table lamps, colored and decorative lights are the primary visible light sources. If any stage lights are used, they're only bright enough to illuminate the characters, but not so bright as to overwhelm the on-set colored lights or destroy the mood they've created. Consider how relatively inexpensive it was to create this beautiful and mood-enhancing scene (above). A mood that aesthetically support's the films' supernatural conceit. Here in this other room (below), bright lights adorn the wall. Sometimes these lights appear white against a blue background. Other times they glow blue. These lights hanging on the wall don't look expensive, yet consider how far they go in creating a supernatural ambiance. An ambiance that supports the upcoming dramatic event -- the two women (one of them possessed by a demon) floating off the ground. Bright primary colors aren't appropriate for every horror film. Some horror stories work better with grim, gritty, desaturated colors. And most horror films work with far less money than Night of the Demons's reported $10 million production budget. But colored lights (whether decorative diegetic lights or nondiegetic stage lighting) are relatively inexpensive. 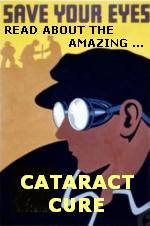 When used appropriately, they can go far in creating mood and making a film look less "cheap." Sometime to consider if you're you're shooting a horror film on a low-budget. 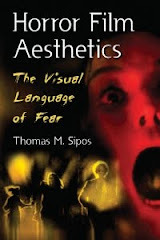 For more about how to effectively light a horror film, see Horror Film Aesthetics: Creating the Visual Language of Fear. This blog represents a continuing discussion of my views on horror, picking up from where the book left off.